A Christian organization dedicated to highlighting the experiences of those raised under the controversial teachings of homeschooling and family planning advocate William G. "Bill" Gothard reports that the conservative Christian minister has been accused of sexually harassing dozens of young women and teen girls who worked or volunteered with his nonprofit. Since the organization, Recovering Grace, published the allegations from various women online, critical mentions of Gothard's alleged sexual harassment have emerged in several publications, such as the Baptists Today News Journal, the Chicago Now blog, Patheos and the American Conservative. On Feb. 3, Recovering Grace published an explanatory letter on its shift in mission, spurred by allegations made by at least 34 different women who claim they were victims of "textbook sexual harassment" and emotional abuse at the hands of Gothard. "We have had men and women who served in the [Institute in Basic Life Principles] leadership confirm that the allegations are true, although they felt (and often were) powerless to do anything at the time," reads the letter on RecoveringGrace.org. "In fact, we have learned that the IBLP Board of Directors has on more than one occasion addressed this behavior with Bill Gothard, but to no lasting avail." In allegations going back decades, Gothard is said to have specifically targeted young women and teen girls to perform administrative duties for him at IBLP's headquarters, where he eventually would make unwanted and inappropriate physical contact while also manipulating them emotionally. Recovering Grace claims it has collected "enough verifiable and/or witness accounts" that make the organization "certain without the shadow of a doubt" that the allegations of ongoing sexual harassment have merit. The organization says it briefly engaged Gothard for the purposes of fostering reconciliation and eliciting his repentance but that neither has happened. In none of their email exchanges did Gothard ever "admit to or indicate that he took responsibility for any of the inappropriate behavior," notes Recovering Grace. George Mattix, executive international director at IBLP, told The Christian Post Thursday that the board was aware of the accusations made against Gothard and would prayerfully consider what course of action members would take before releasing any public statements. Mattix had initially passed CP's request for comment on the allegations to the nonprofit's attorney, whom he said subsequently turned the matter over to outside counsel. Gothard, who says he is "dedicated to helping teenagers and their families make wise decisions" through biblical principles and "concepts of life," has influenced the lives of millions of Christians who have attended his seminars and been exposed to his teachings over the past 50 years, among them the popular Duggar family of the TLC show "19 Kids & Counting." The Institute in Basic Life Principles, based in Oak Brook, Ill., and founded in 1961, reported that it received nearly $5.5 million in public support and held more than $81.7 million in assets on its 2012 IRS 990 Form. Gothard's "Basic Life Principles" taught at his Basic Life Seminars are based on his interpretation of God's principles, and cover the areas of design, authority, responsibility, suffering, ownership, freedom, and success. Central to his teachings are God's "chain of command" and "divine authority structures" in families, governments, churches and businesses. His interpretation of Scripture has been heavily criticized, and Gothard's organization has faced intense scrutiny in the past due to allegations of child abuse linked to its teachings, as well as lawsuits alleging financial and moral impropriety. In the accusations published by RecoveringGrace.org, Gothard's alleged victims claim the minister specifically used his teachings on authority to manipulate them into doing what he wanted. "Gothard plays a mind game with certain young women who may attempt to graciously and discreetly evade his physical affections and implied emotional intimacies," reads an account from a woman identified as Lizzie. "He wordlessly removes that option from the table while verbally assuring them of the importance of their continued presence in the ministry. He uses his position of spiritual and organizational authority to frame leaving his side as leaving God's will and losing the most effective place for ministry." Gothard, 79, received his B.A. (1957) and M.A. (1961) degrees from Wheaton College and, a Ph.D. (2004) degree from Louisiana Baptist University. He was ordained in LaGrange Bible Church, registered his Institute in Basic Life Principles as a nonprofit in 1963, and has never married. 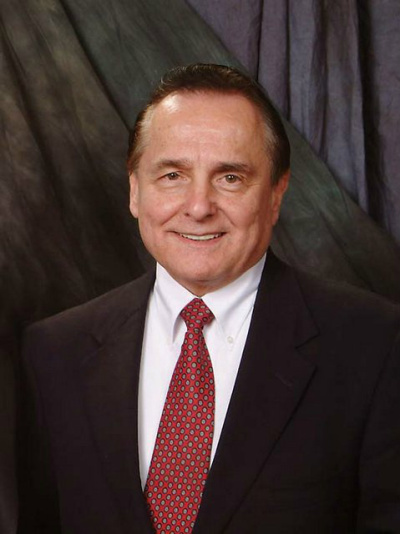 Supporters of the Christian minister and his organizations, including the Advanced Training Institute that provides homeschooling curriculum and training for parents, have taken to a Facebook group originally founded for members to share their appreciation for "the wit and wisdom that Mr. Bill Gothard has shared over the years from his practical study of God's Word and heartfelt desire to help young people find success in life." Some among the nearly 300 people belonging to the "Friends of Mr. G" Facebook group have suggested that RecoveringGrace.org was seeking to "destroy" Gothard and doing more harm than good by "drudging up" old accusations. "It is not that people dislike Mr. Gothard because he has done anything wrong, but rather he stands against wrong standards," suggested Robert Norvell, a former director of Eagle Mountain Training Center in Berryville, Ark. "Could it be the real problem is they want to set their own standards. I worked for him for 12 years and I never saw him misrepresent the LORD. I don't agree with everything but I still love him as my own brother." Norvell added elsewhere, "All that to say this, Bill Gothard is not perfect and nor am I. Shouldn't we be looking for the good and speaking of the good and leave the negatives alone. If you want negatives go to RG. You will get a lot of untruth but at least you won't be pushing it on those of us who don't want to hear it. This world offers enough darkness. Like it or not BG isn't perfect but he has been one used of God to shine a bright light in a dark world." RecoveringGrace.org, launched online in July 2011, states that it is "dedicated to helping those affected by the teachings of Gothard, the Institute in Basic Life Principles (IBLP), and the Advanced Training Institute (ATI)." The organization is "evangelical in doctrine and practice" and led by adults who were raised as children in Gothard's ATI, attended his seminars and served in his IBLP organization. Pastors, lawyers, teachers, accountants, businessmen, and stay-at-home mothers are said to be among its members. The organization says its ongoing mission is guided by the following resolution: "Whereas Bill Gothard has exhibited a 40-year pattern of moral failure, abuse of spiritual authority, and mishandling of Scripture, and is therefore disqualified from Christian ministry, according to Titus 1 and I Timothy 3, we believe that the only biblical course of action is for Bill Gothard to step down from all ministry and leadership positions, publicly repent of the above sins, and exhibit fruit in keeping with repentance (Matt. 3:8)."